Prince Charles is seeking an experienced hotelier to manage a guest house in his grandmother’s former home – the Castle of Mey in Caithness. The luxury ten-bedroom property, which is set to open in the spring, was formerly the granary at the Queen Mother’s beloved Highland hideaway. In keeping with the Prince’s green credentials, the guest house – dubbed Heir B&B – will have eco-heating and make use of local materials and craftsmen. Reminders of the Queen Mother, who died in 2002, will be prominent, with her ER motif on the skylight of the dining room and her portrait hung on the walls. Rooms will cost around £160 a night and if the project is a success there are plans to use the castle and B&B for weddings. The Prince is converting the stables and granary at the Castle of Mey into ten luxury guest rooms – enabling visitors to experience some of the calm and charm of the property where the Queen Mother once entertained high-society friends. Now, a Facilities Manager is being recruited to run the new luxury guest house. 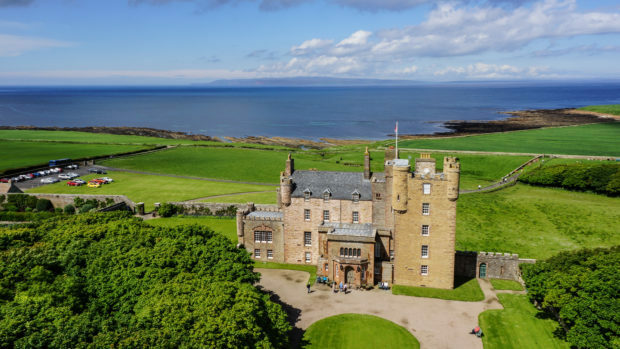 The advert states: “An exciting new opportunity has arisen for a Facilities Manager to launch the Castle of Mey’s new 10-bedroom bed and breakfast/events accommodation facility called the Granary. “The job holder will be responsible for the day-to-day management of the Granary and will have overall responsibility for sales, cost control, health & safety and other aspects of managing this new venture. “A proven track record of leadership skills is required in order to maintain the success of the Granary and take it forward in the future. Applications close on January 20.